So put a ring on it. For rosemary, that's for remembrance. The QLOTHE girl is one who's independent, confident and comfortable in her own skin. 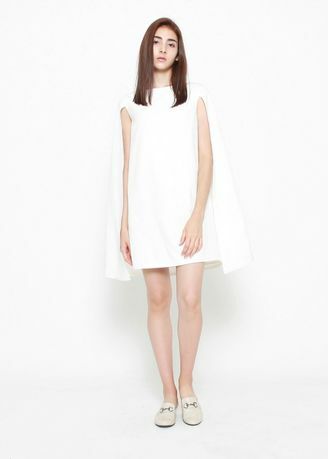 So work that #girlboss look with the Rosemary Cape Sleeve Dress with her split sleeves that drape over the arms like an elegant cape.